We invite you to browse our new website to find the best pricing on accommodations anywhere online. 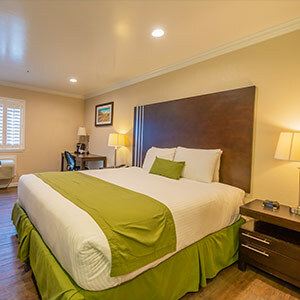 The Ocean Pacific Lodge is ideally located on Pacific Avenue in the heart of Santa Cruz, California. 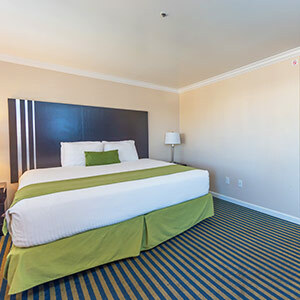 Our convenient location is just 43-minutes to the San José International Airport, approximately one hour to the San Francisco International Airport, and 1.5 hours to the Oakland International Airport. Cabrillo Highway 1 can easily be accessed from our location. We are a short walk to the Santa Cruz Beach Boardwalk, and the Municipal Wharf, and top Santa Cruz attractions are a short drive away. As a guest of the Ocean Pacific Lodge, guests can spend more time enjoying the best that Santa Cruz has to offer. At the Ocean Pacific Lodge, we offer a host of lifestyle amenities with a focus on guest comfort. Our pet-friendly hotel is pleased to provide conveniences like a 100% smoke-free property, complimentary WiFi, a hot tub, an outdoor pool, a 24-hour front desk, baggage storage, and complimentary self-parking. We also provide a business center, premium cable, and multilingual staff. Additionally, we have vending machines on-site with a variety of snacks and beverages, and pet bowls. Santa Cruz offers a seemingly endless array of attractions for guests to enjoy day and night. 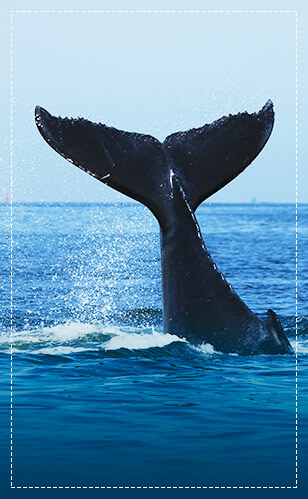 The Ocean Pacific Lodge offers easy highway access and proximity to the area's top attractions. We are an easy walk to the famous Wharf, the Santa Cruz Beach Boardwalk, and Santa Cruz Downtown. A short drive to popular shopping, theaters, restaurants, and hiking trails. Iconic points of interest like the Mystery Spot and the Mark Abbott Memorial Lighthouse are nearby. 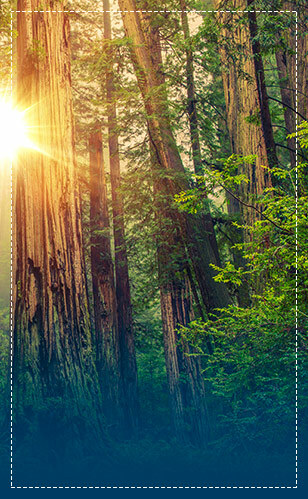 Whether guests want to hike, explore wildlife, enjoy a day of family fun on thrill rides, or dance the night away after taking in a gourmet meal, Santa Cruz offers something for everyone. 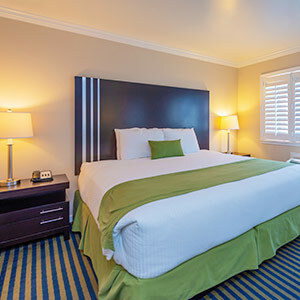 Our Santa Cruz hotel guest rooms are just a short stroll to the Santa Cruz Beach Boardwalk and Municipal Wharf. Our rooms come equipped with a variety of amenities; such as, a flat-screen TVs, wireless internet, refrigerator, microwave, and much more. Let us be your host during your trip down the California Coast. Our king guest room is equipped with complimentary WiFi, personal climate control, a refrigerator and microwave, coffee maker, iron and ironing board, a desk and telephone, and a flat-screen TV with premium cable channels. Our two queen guest room is equipped with complimentary WiFi, personal climate control, a refrigerator and microwave, coffee maker, iron and ironing board, a desk and telephone, and a flat-screen TV with premium cable channels. This room is ideal for families or business travelers. Boasting 420 square feet, this spacious room offers two bedrooms each with a king size bed. This deluxe room includes complimentary WiFi, a desk and telephone, and flat-screen TV's with premium cable channels. Our Jacuzzi room is fitted with a comfortable king size bed and can comfortably accommodate up to two guests. Additional comforts include complimentary WiFi, microwave, telephone, and a flat-screen TV with premium cable channels. Our accessible room is ideal for guests looking for mobility features. 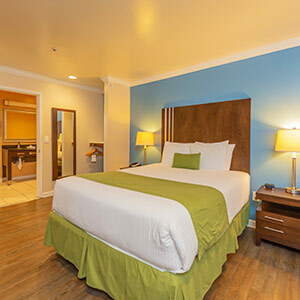 This wheelchair accessible ground floor room is fitted with one comfortable queen size bed, and is equipped with a host of accessibility features like an accessible path of travel around the room and the bed, visual alarms, lowered counters, etc..
Come stay at the Ocean Pacific Lodge and experience the various cuisines that Santa Cruz has to offer; from surf and turf, breweries, wineries, or the local beach town diner there is plenty for you to try while exploring our coastal city. 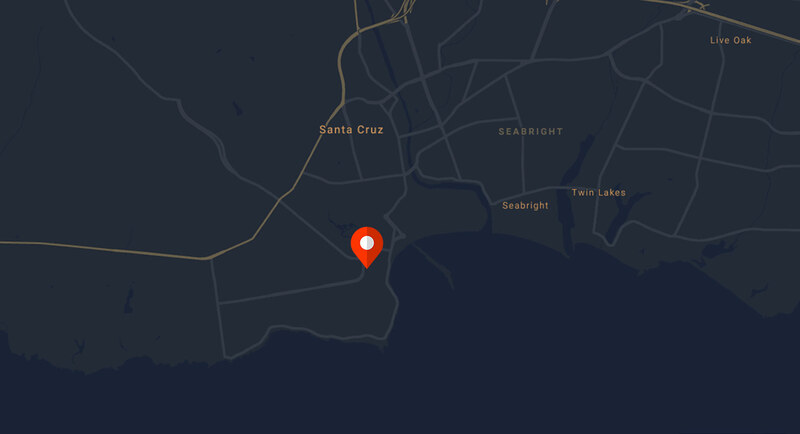 Learn more about what is nearby our Santa Cruz Hotel. 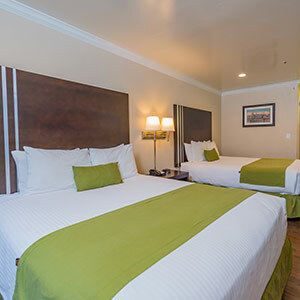 Located along Pacific Ave our quaint Santa Cruz Hotel is located within a short stroll from the Santa Cruz Beach Boardwalk and Wharf thus making our hotel the ideal choice for those visiting. 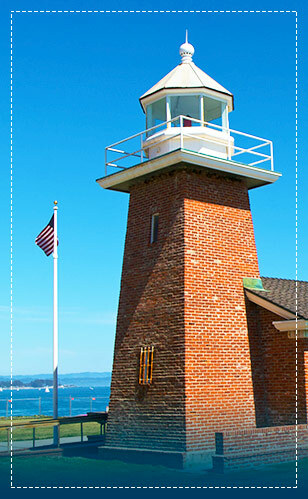 Come explore the various attractions and things to do Santa Cruz has to offer.